With Culturebaby off to school in September, the arrival of a series of books designed to help children to deal with big feelings and challenges was very welcome indeed. Culturebaby has been blessed with the wonderful children she's grown up alongside. Both girls have been adopted into urban-families of my friends' children from ages nine down to one, who look out for each other and where age doesn't matter. But I know that this won't always be the case, children can be mean and problems can seem insuperable to a little person in a big school. I'm aware that helping her to deal with fears and challenges herself and with the help of others will be hugely important. 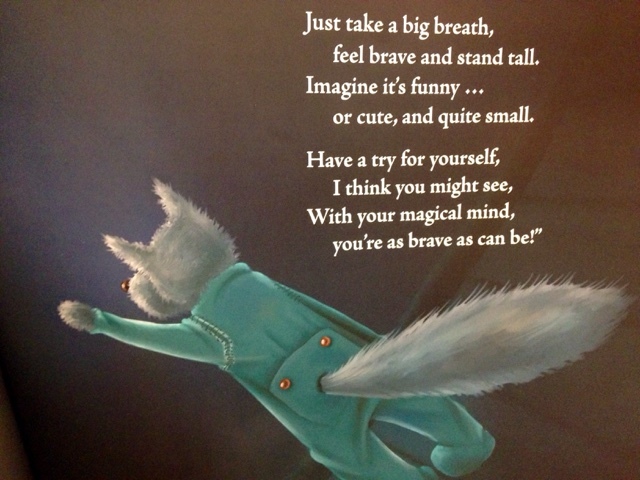 The Feel Brave series by Avril McDonald and published today, is a collection of five picture books designed to help children explore positive psychology and emotional intelligence in a safe and non-threatening way, through the art of storytelling. 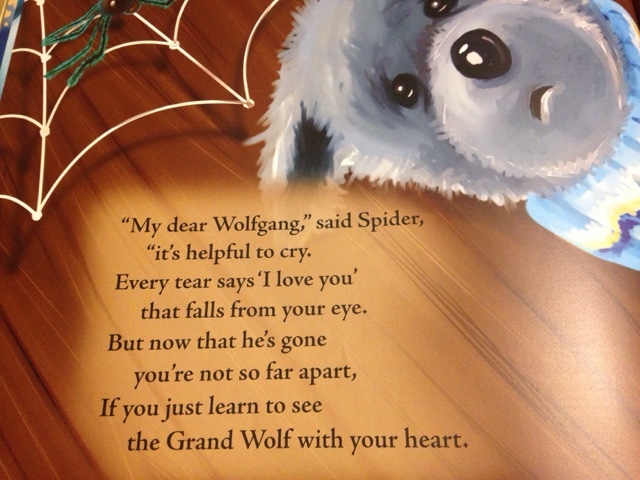 Each tale contains a strategy in which to overcome a negative emotion, with the help of a lovable wolf called Wolfgang and his friends. (And I might add so refreshing to see a wolf depicted in a positive light. The poor chaps get such a bad press in fairyland). Each of the five books tackles a difficult issue a child may be experiencing at home or at school, with their friends or alone, and provides them with the tools to feel better. This includes low self-esteem; change, loss and grief; anxiety and fears; and bullying. 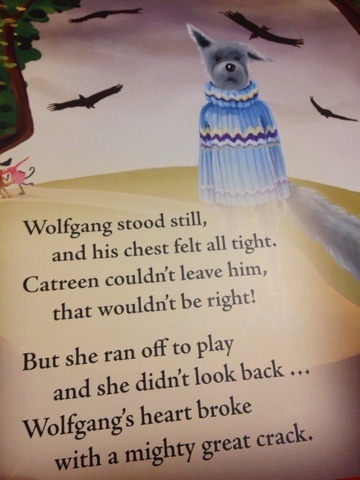 We've been working through them and Culturebaby has been particularly attracted to The Wolf Is Not Invited. At four, children are clearly beginning to decide who they are really drawn to. This partiality can create fantastic friendships, but it can also lead to exclusion and sadness. It's something children have to navigate, and we cannot fully protect them from the inevitable heartbreak this can cause throughout their early years - but this sort of story can help. Wolfgang also learns to face fear of the dark in The Wolf and the Shadow Monster, being bullied in The Wolf’s Colourful Coat and overwhelmed by worry in The Wolf and the Baby Dragon and finally, sadness losing someone close to him in The Grand Wolf. A golden thread through each of the stories is also the power of friendship. Spider is close by to offer another perspective, support and helpful words. Avril McDonald had her first panic attack at 8 years old. That attack marked the beginning of Avril learning to live with anxiety disorders and it gave her an insatiable curiosity about the mind/body connection and desire to help children to learn to handle their emotions. 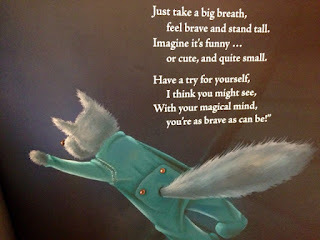 “I want to try and equip children with the tools they need to do this and I’m putting all of my faith in a little brave wolf with a big heart to make it happen”. We now live in an incredibly distracted and fast paced world where we are seeing whole new levels of stress in children. How can we help children adapt to this world? Here are ten tips to bring into your home to help children build emotional intelligence and thrive. At a very simple level, we have two brains; the ‘old brain’ (responsible for basic physical desires, motives and emotions such as the fight, flight or freeze responses) and the ‘new brain’ that sets us apart from animals. This part of the brain enables us to think, imagine and reason and gives us our sense of self. Our new brain capabilities can easily be hijacked by our old brain feelings, emotions or desires. Like a dog, the old brain is most useful to us if we can train it using our rational new brain. Young children can be introduced to this concept by imagining that one part of their brain is a bit like a ‘Cheeky Monkey’ and that another part is like a ‘Wise Owl’. Sometimes the ‘Cheeky Monkey’ can get a bit too excited or if it feels scared or angry, it might want to scream and run away or do things that might hurt other people like hit or say unkind words. The ‘Wise Owl’ can train (or talk to) the ‘Cheeky Monkey’ so that when feelings come up, the ‘Cheeky Monkey’ can stop for a minute while the ‘Wise Owl’ helps it to do something really good with those feelings (even if the feelings are bad). You can make this learning part of a child’s everyday by just talking about their ‘Cheeky Monkey’ and their ‘Wise Owl’ as if they are little invisible friends. Talking like this can start the imagery and fun conversations flowing until they are old enough to take on the bigger concepts e.g. ‘Was that your ‘Cheeky Monkey’ that just did that?’ or ‘What would ‘Wise Owl’ tell ‘Cheeky Monkey’ to do?’ You could make puppets or use toys to play out scenarios of what ‘Cheeky Monkey’ did with a situation and what he/she might have done better by listening to what ‘Wise Owl’ had to say. Mindful exercises have been proven to reduce stress and promote wellbeing. Slow and deep breathing makes us feel better. It releases happy hormones (e.g. dopamine) and reduces stress hormones (e.g. cortisol) and can help children move in to a positive mental state where they are ready to learn. Mindfulness exercisescan be easily accessed on the internet and are a great way to calm down and ‘self-regulate’ our emotions. Make a calm down box for children to use at times when they feel restless, over stimulated, angry or upset. Include things like Lavender scented play dough, stress balls, Mandala colouring in templates, mind jars, some nice calming music, favourite books, art equipment to draw out feelings etc. The ability to empathise builds social tolerance and helps to develop our support networks which in turn increases resilience. Empathy plays a vital role in preventing bullying. Ask children every day to tell you what they did that was kind or made someone feel good? Or ask them if they saw someone else do something kind or made someone else feel good today. Random acts of kindness can help to build a sense of empathy and compassion which is key to developing social competence. The more we practise empathy and compassion, the more likely we are to recognise situations when others are in need. Random acts of kindness also strengthen the neural pathways necessary for detecting emotions and releasing our happy hormones (e.g. dopamine). Ask children to secretly plan little ‘acts of kindness’. Get them to report back each day on any ‘RAK’s’ they did or saw someone else do. Give children plenty of opportunities to draw or paint. If they are feeling angry or upset, ask them if they would like to ‘draw’ their feelings to some of their favourite music. Drawing and painting can help children express and process feelings that they may not even have words for yet. Drawing can also help open up conversations about any feelings or things that might be bothering them. If children can be introduced to a little fun stretching routine each day, it can help them get a taste of just how enjoyable and beneficial a short exercise break can be and how good it can make their bodies and minds feel. There are some fun little stretching routines that can be found on the internet. If a child is worried about nightmares or certain situations and scenarios, try creating new stories together and make their scary things become funny or small and cute. This is a very simple Cognitive Behavioural Therapy called ‘re-framing’. Children love nothing more than ‘role playing’ a tough situation they are facing when you play the part of them or you share a similar story from your childhood. Role playing gives them a safe environment to try out different scenarios and see situations from a different perspective and to try and process their feelings. Role play can also be done using a child’s favourite toys or by making a puppet show. Gratitude exercises have been proven to increase happy hormones (e.g. dopamine) and help us change how we view things. They encourage us to focus on the positive which helps our overall well-being. Ask children every night what the ‘best thing of the day’ was and get them to think about all of the people they love and mix them in a bowl and drink them like a hot chocolate so that they feel warm inside their hearts. Avril McDonald is the author of the Feel Brave Series of books (little stories about big feelings for 4-7 year olds) and founder of www.feelbrave.com She set up the www.friendsoffeelbrave.com charitable arm with the vision to give all children access to tools to help them manage tough emotions and reach their potential.